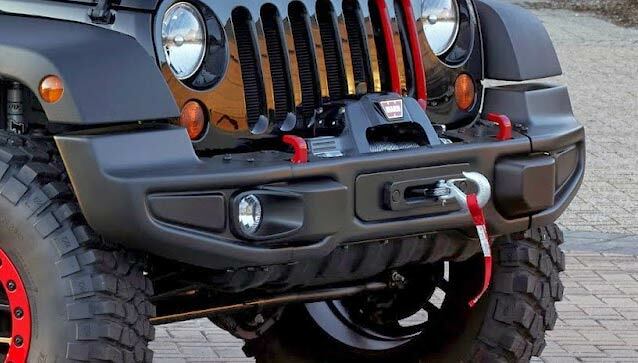 Mopar Aero End Caps add a different look to the 10th Anniversary Rubicon Bumper (82213653AB). 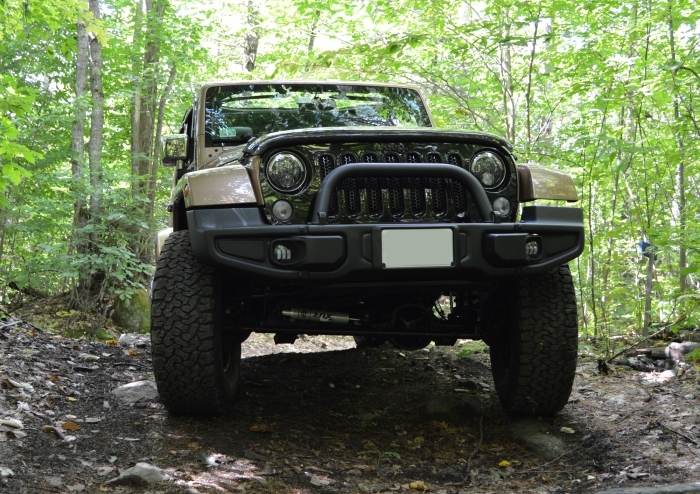 The Aero End Caps can also be used to make the Mopar stubby bumper (82214565AB) look full width as well. 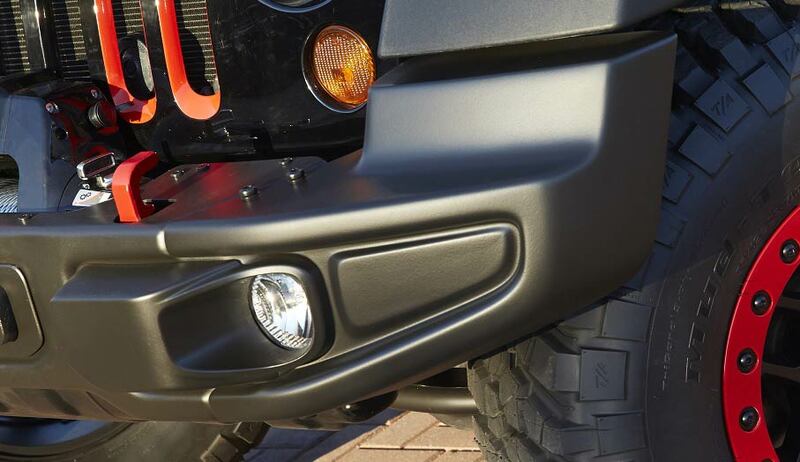 This is a pair of plastic Aero End Caps for the front bumpers found on the Rubicon X, 10th Anniversary or Hard Rock edition. Buen producto, buen material, muy rapido el envio, gracias desde Puerto Rico. The end caps were very beefy looking and complimented the Rubicon 'front-on' stance . . . regretfully, they were made of molded plastic instead of steel . . . I retuned in exchange for 'Wrangler Front Bumper End Hoops.' Too bad, these 'Aero Caps' gave the jeep a great look. ProsGreat "face-on" look; good alignment. 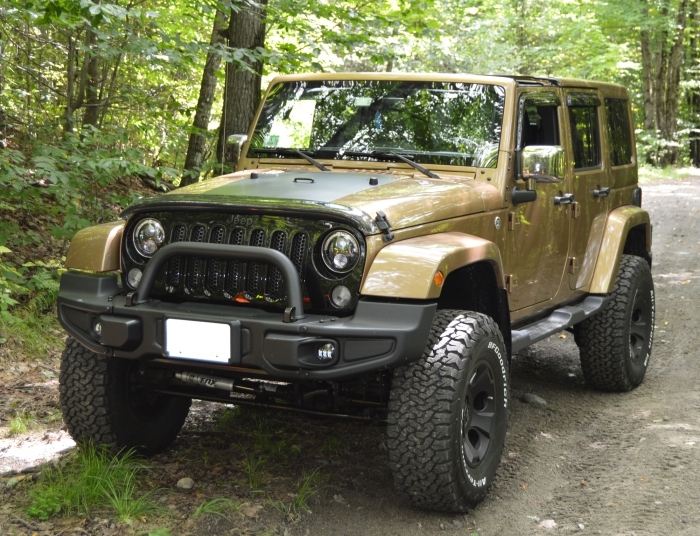 A nice alternative for the non-off-roader (*) see below recommendation. ConsPlastic rather than steel . . . will they hold up over time? Great product, filled gap perfect. Been looking for these end caps for 2 years. Thank you much for putting them on market. ConsHollow on the back side, but look great for the front. Love that full width OEM look! These end caps are awesome! They totally complete the look of my Jeep's front end. I have never been a fan of the gap between the stock plastic bumper and the fender flares. Aesthetically, I have always felt that like gap should be closed. Apparently in markets outside the US, such as Europe, they agree (Their reason is for pedestrian safety not style, though.) I highly recommend these caps.